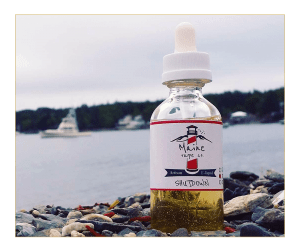 Chances are if you live in Maine, and are active in the vape community, then you have heard about Maine Vape Company. I always keep my eyes to the industry, and I love to try things that people widely talk about to see if it was just very well marketed, or if it’s is truly going to deliver a great Vape experience. Dustin Fitzpatrick the Owner of Maine Vape Co. and of Empire Vape Shop was behind the launch of this widely talked about line, being a frequent-flyer at his shop, I stopped in to talk a bit about what was going on. 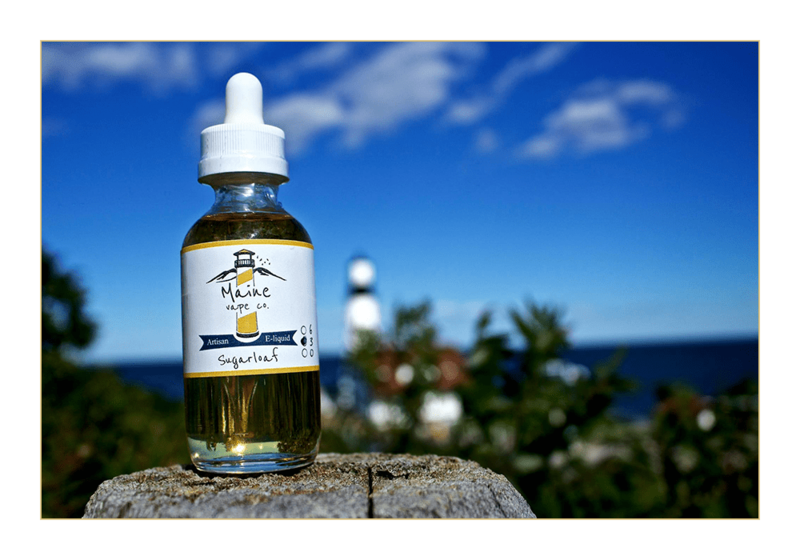 Maine Vape Co. was inspired by the love for great flavor, and the serious lack of quality juices on the market. 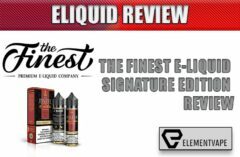 The owner takes e-juice very seriously and believes if you market a product as a specific flavor it should absolutely without a doubt taste just like the flavor it’s marketed as. The state of Maine is famous for our quality fruit vendors and farmers markets, as well as our blueberries and raspberries. And, well, lobsters of course. Every restaurant and home in Maine is going to include dishes with these home grown ingredients. Dustin wanted to bring a taste of these Maine quality flavors to a market plagued with such stale flavor profiles as of lately. Named after three of the mountains here in Maine, each flavor unique in its own way. Lets dig in! Shutdown has impressed me on a lot of levels considering my lackluster interest in cream based juices, I found myself craving this on a lot of occasions. The rich organic cream flavor is exactly what your taste buds need after a day or two of vaping your favorite fruity flavors to balance everything out. The inhale is rich and creamy with hints of strawberry lingering behind the combination of creams, absolutely no throat hit to my pleasure and the cloud production was decent to say the least. The strawberry is organic but not the sour strawberry organic I have experienced in a few other blends of juice this is more sweet and relatable. The exhale is when the hints of sweet milk compliment the blend of creamy strawberry in its entirety, adding a different twist to the oh so famous strawberry and cream category in the vape world. 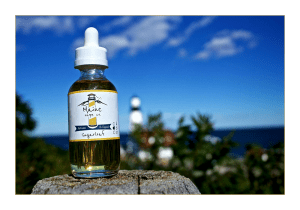 Adding this ingredient, in my opinion did exactly what the owner set out to do by delivering a touch of Maine flavor to an already highly popular flavor profile. Absolutely an all day vape, strawberry and cream fans will be questioning all of their so called favorites in this flavor-genre after trying this. Light and Airy, this flavor profile delivers exactly what you would expect from a Vanilla Filled Sponge Cake. This juice taste and smells so much like the mixers took a bunch of Twinkies, blended them down, mixed the blend with VG/PG and then dispersed into little 30ml Bottles.. On the Inhale you get the light fluffy cake, sugary and clean, The vanilla lingers the entire time almost to the point I found myself chain vaping it in amazement as to just how airy and fluffy this blend was. The exhale brings the whole experience together giving you a cloud of a fluffy pillow like cake with a hint of sweet vanilla cream. Not overpowering in the slightest, actually the exact opposite. I would recommend this juice to anyone who likes a clean non overpowering flavor, I personally think the profile delivers exactly what was promised and makes a great addition to any vapers E-Juice collection. Undoubtedly an all day vape, so smooth that I would recommend all beginner level, vanilla loving vapers to try this out. If I were to go just off of smell alone, Cadillac would be the winner. This juice smells and taste amazing in its own unique way. I have had cheesecake blends of E-Juice before but nothing quite like this, and being a huge sucker for lemon anything, I was more than happy to test this one out. The Lemon Flavor is thick, it blends so nicely with the cheesecake that it almost coats your mouth with a film of flavor when you are vaping this, for the cheesecake it is very light and not too creamy as to not overpower the blend. The lemon notes freshen up the blend along with the Lime, and allow the overall cheesecake / graham cracker notes to combine nicely, and really bring a flavorful punch to your taste buds. The lemon/lime-esque cheesecake flavor is huge on the inhale giving you hints of the graham cracker flavor on the exhale. There is no throat hit during the inhale, just the raw freshness that a good lemon or citrus juice will give your throat, similar to a menthol feel but quickly diminished after a few vapes. The overall flavor in this blend is very present, if you easily get overwhelmed by juices than this may not be for you, however if you are looking for a more sophisticated blend of E-Juice, and sick of the same old flavors on your palate, than I hugely recommend trying this out! Would definitely buy this again, and happily vaped this all day! will be able to purchase very soon! Nicotine – 3mg, 6mg, and a zero-nicotine option.